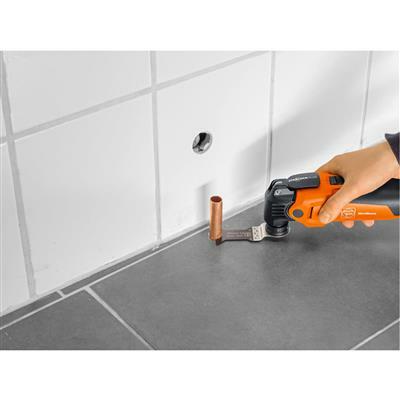 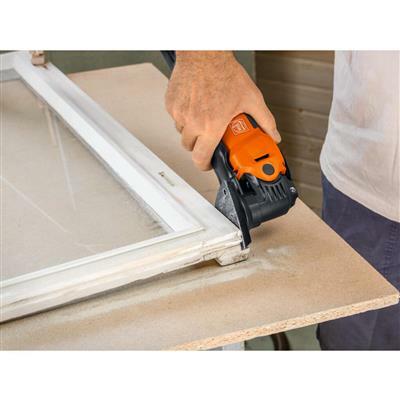 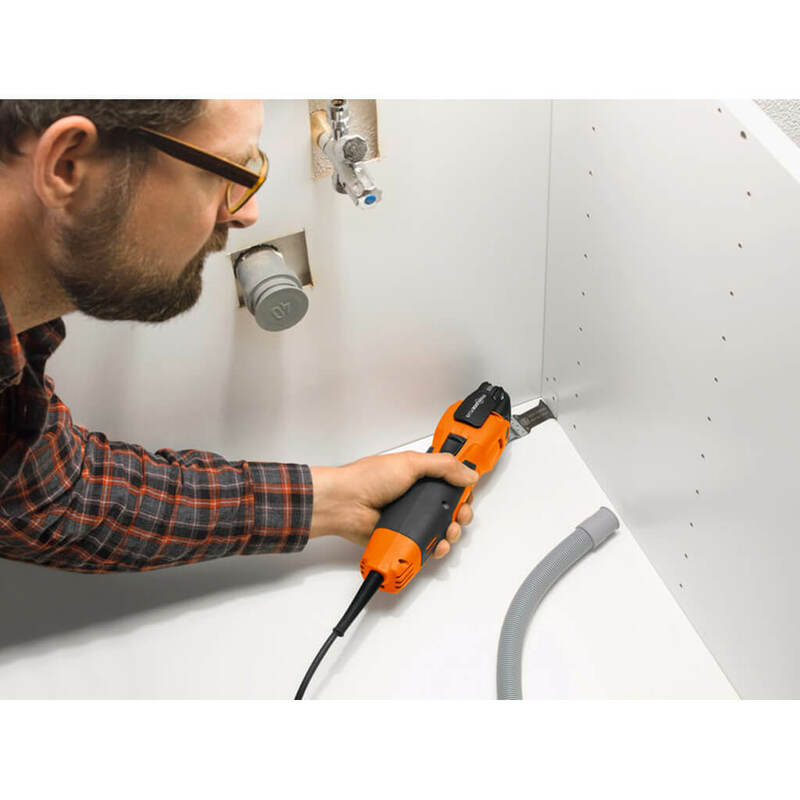 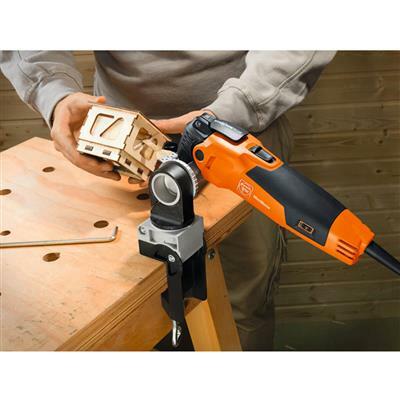 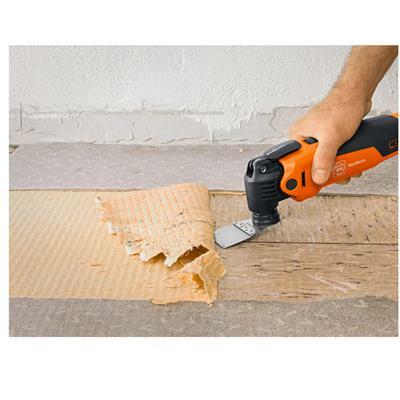 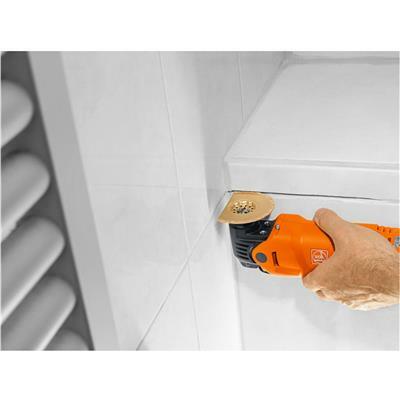 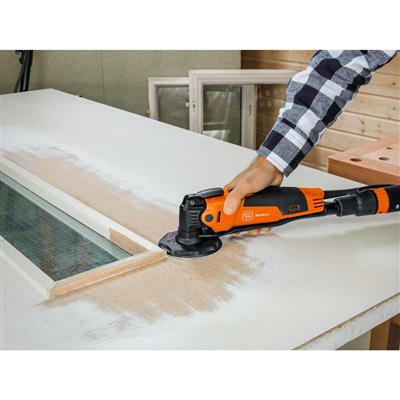 The FEIN MultiMaster FMM 350QSL Top Kit uses the new, tool-free, snap-in Starlock mounting system for easier, safer blade and accessory changes. 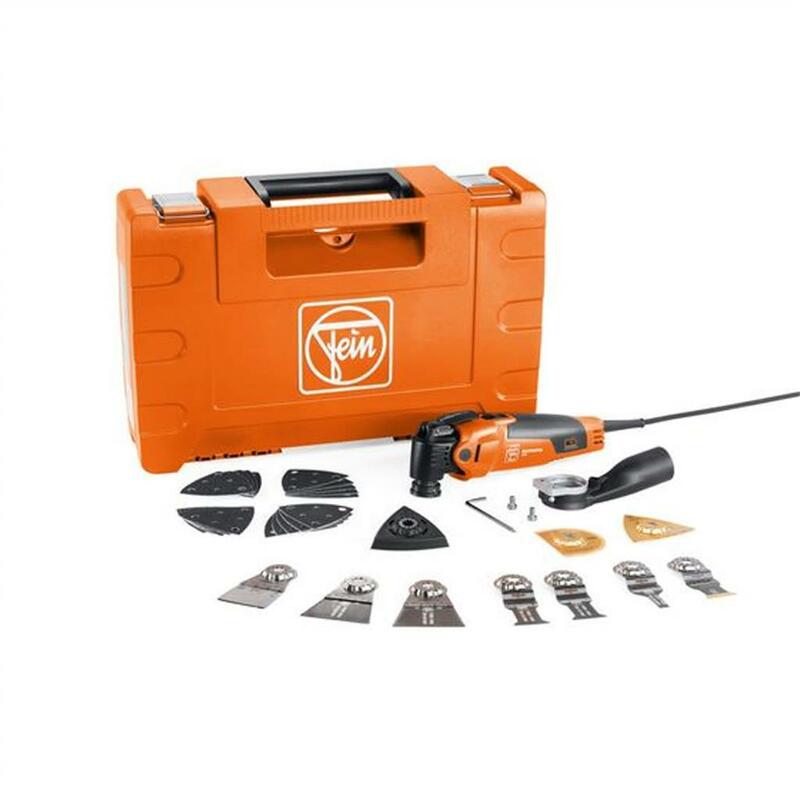 This comprehensive kit includes the Multimaster 350QSL and accessories for sawing, scraping, grinding, sanding and dust extraction. The Starlock mounting system increases torque transfer and power efficiency, which reduces wear and tear on the tool and extends its service life. The ergonomic handle design, minimal vibration and reduced noise make using the tool more comfortable for you. Fits all Starlock and Starlock Plus blades and accessories.